We had a great turnout for today's Cache High School ACT Bootcamp. We invited students from surrounding schools. These students from Cache, Indiahoma and Snyder took time out of their Sunday to work with Mrs. Nowak, Mrs. Mellott, Mr. Runnels and Mrs. Fritz in English, reading, writing, science and math. 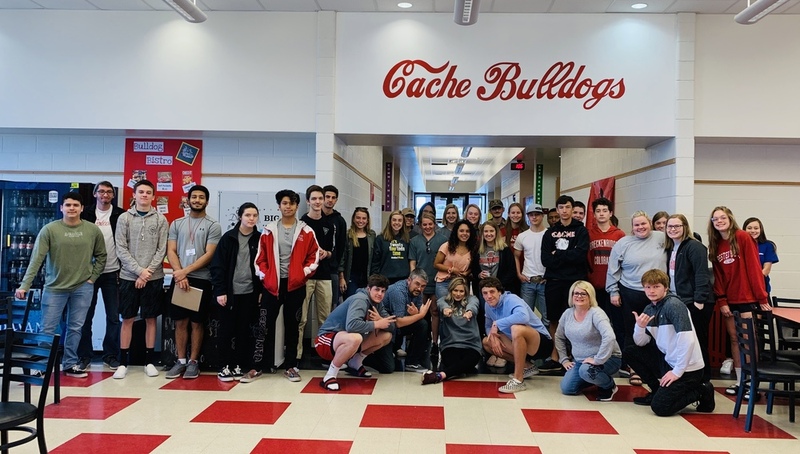 Students received tips and tricks, strategies, advice and sample problems on how to do their best on the ACT Test, which is scheduled for this Tuesday, April 2nd at Cache High School. The ACT on Tuesday is free and is a required test for all juniors in the State of Oklahoma. Our next Bootcamp is Sunday, April 14th from 1-4 pm at the mid-high. It will be geared toward the Oklahoma State Tests in Science and History.